Glucosamine is one of the most popularly used supplements. It’s neither a vitamin nor a mineral, but is an amino acid/ glucose combination that our body naturally makes when it’s healthy and young. It’s found in our joints, where our body uses it to build the connective tissues which are the cartilage, tendons, ligaments, and synovial fluid. Because our bodies become less and less able to renew our connective tissues and fight against inflammation as we age, our joints gradually deteriorate, which leads to pain and arthritis. Taking glucosamine supplements may keep the cartilage from deteriorating, since it offers the body more building materials. 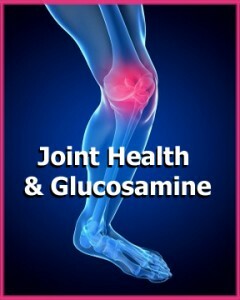 Glucosamine also helps to prevent arthritis and is used as a therapy in medical plans to deal with osteoarthritis. Glucosamine supplements, like Glucosamine Sulfate 750 and Glucosamine HCI, are taken to provide the aging body with more glucosamine with which to repair deteriorating, painful joints. Morning stiffness, back pain, stiffness in your joints, and tendency to joint injury are the first symptoms of degenerate joint disease, which includes arthritis. Osteoarthritis (OA) can develop due to injuries and or age. Many people get OA by 50 years old, and at least 1 out of every 5 people in their fifties, and 1 out of every 2 people over 80 years old, deal with arthritic knees. At least half of all people over 65 have OA, and 1 out of every 10 people over the age of 65 have a major disability from it. Glucosamine supplements help to guard against arthritis. It’s also used by those who have osteoarthritis to help with joint pain and to improve the structure of the joints themselves. It has been proven through scientific studies to be effective in therapeutic uses for OA. In the long term, glucosamine supplements have been proven to be more effective in relieving the pain in osteoarthritic joints than ibuprofen! It also had fewer side effects.